Prime Minister Narendra Modi began his election campaign in the northeastern states, starting from Arunachal Pradesh. The BJP wants to ensure maximum seats in the northeast in the upcoming general elections. Prime Minister Narendra Modi began his election campaign in the northeastern states, starting from Arunachal Pradesh. 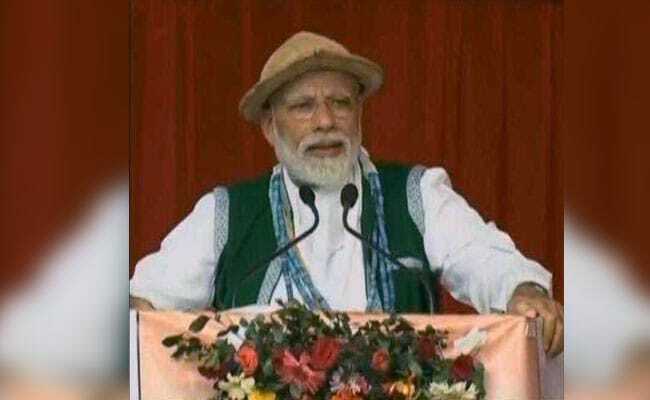 PM Modi addressed a public meeting in Aalo in West Siang district of Arunachal Pradesh today. "Over the last few years, the @BJP4Arunachal Government in the state has done exceptional work in various sectors. I will request the people of the state to bless BJP in the Lok Sabha and Vidhan Sabha polls," PM Modi had tweeted. Following his address in Aalo, PM Modi held two election rallies in Assam. He addressed a gathering in Moran of Dibrugarh and then moved to Ghaigaon in Gohpur to address another rally. With the Congress decimated from the whole of the Northeast, the BJP has set a target of winning 25 seats from the region. The BJP wants to ensure maximum seats in the northeast in the upcoming general elections so that the seats that they lose in other states can be compensated for. In 2014 Lok Sabha polls, the BJP had won eight seats. It won seven of the 14 seats in Assam and one seat in Arunachal Pradesh. I am a chowkidar. You are too, right?